When children become independently mobile, every parent wants to see them driving a safe car. In practice, how do you choose the safest option? The Australasian New Car Assessment Program (ANCAP) does a great job distilling the complex issue of relative crashworthiness down to an easily digested star rating system. Five stars is the best, four is acceptable … and everything else is questionable, at least these days. In most markets, more than 80 per cent of passenger cars achieve a five-star safety rating, although light commercial vehicles (utes and vans) generally have a lower proportion of five-star entrants. John Cadogan from www.carloans.co.nz says you don’t even pay a premium for five-star safety in today’s market. “There are so many five-star alternatives in every market segment, from compact cars, to large cars, SUVs, coupes, hatches, sports cars, etc., that there’s very little justification for choosing a car with four stars or fewer,” he says. 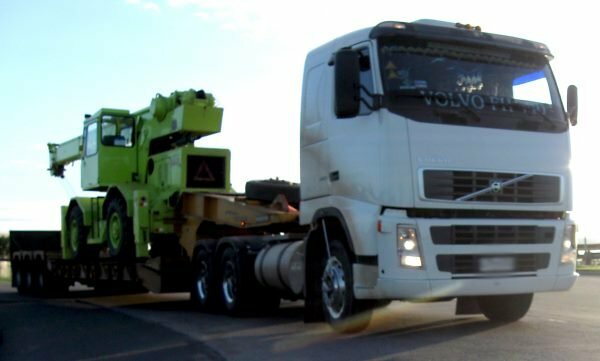 Vehicles with five stars have passed three severe crash tests, which simulate head-on collisions, side impacts and pole impacts, as well as having a minimum safety equipment level, including electronic stability control. 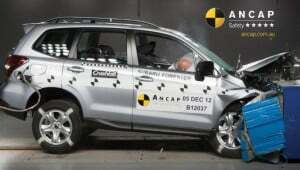 More information on the ratings of new and used vehicles at www.ancap.com.au. Driveway accidents are the second most common cause of accidental death in children, after drowning. The driveway at home is a relatively dangerous place, and a common kids’ play area. Unfortunately, reversing vision is relatively unregulated in New Zealand (and every other market on earth), allowing manufacturers to build cars with poor rear vision. There’s a common perception that only SUVs offer poor rear vision, potentially compromising child safety in driveways, but a ground-breaking assessment of reversing vision by Australia’s NRMA reveals that vehicles from all categories, from small cars and sports cars, to large cars and SUVs, have potentially dangerous reversing blindspots. Reversing cameras, however, change everything – offering a panoramic view to the rear of the vehicle, basically straight down from the bumper. 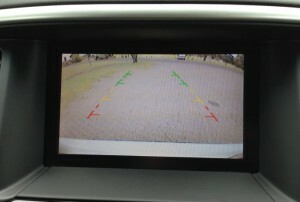 Reversing cameras are increasingly available as standard equipment on affordable new cars, and are one of the few advanced safety systems that are easy to retrofit to older cars that lack them. If airbags are a ‘cure’ during a crash, then stability control is prevention – and we all know which is better. If you’re in the market for a used car, stability control is a lifesaving safety system ideal for young drivers. (Cars with a five-star safety rating all have electronic stability control, but some three- and four-star cars have it as well.) Basically, electronic stability control helps prevent loss-of-control crashes by detecting the start of skids and slides. It automatically cuts engine power, and can even brake individual wheels automatically to keep the vehicle stable. Often, electronic stability control intervenes before the driver is even aware there is a problem. Airbags are critical automotive safety devices that have saved thousands of lives worldwide. The basic rule of thumb is: more is better. Most reasonably contemporary vehicles in the used market, and all new cars, have front airbag protection. If you’re buying a used vehicle for a young driver it’s a good idea to look for side airbags, which protect vehicle occupants from the kinds of impacts commonly occurring in crashes at intersections. Side airbags are built into the front seats – and a little bit of research here is important. Basic side airbags protect the upper body but not the head, while some side airbags include a larger bag with head protection built in. Even better are so-called ‘curtain’ airbags, which deploy from the ceiling and cover the full length of the side glass as well (potentially protecting rear seat occupants as well). ABS, the anti-lock braking system, which allows drivers to steer even during a severe brake application, by preventing the wheels from locking up. EBA, the emergency brake assist system, which maximizes the pressure in the brake system during an emergency, even if the driver doesn’t brake hard enough. EBD, electronic brake-force distribution, which cuts stopping distances by maximizing the contribution the rear brakes make to getting the vehicle stopped. Vehicles with stability control tend to have all these other brake-related safety systems built in, but if you are purchasing an older vehicle you should do your research because these systems were previously available independently of stability control, with ABS being the earliest innovation. Also appearing in the market right now, admittedly in just a few new vehicles, is automatic brake application technology, designed to sense a vehicle or pedestrian in front of the vehicle and apply the brakes automatically if the driver doesn’t react to the problem. Eventually cars will have increasing levels of automation and some will be autonomous vehicles.